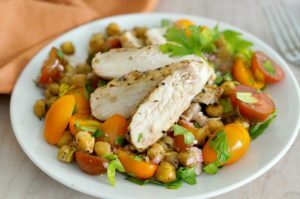 Tons of flavor and healthy ingredients make this Grilled Chicken with Roasted Chickpeas salad a hearty meal perfect for weeknight dinners or weekend lunches. I’ve been on a parsley kick lately. And not just as a little sprig of color in the back of my food pics. I’ve been using it a lot, in all kinds of recipes. Italian Parsley adds a fresh taste of green to slow cooked meals. 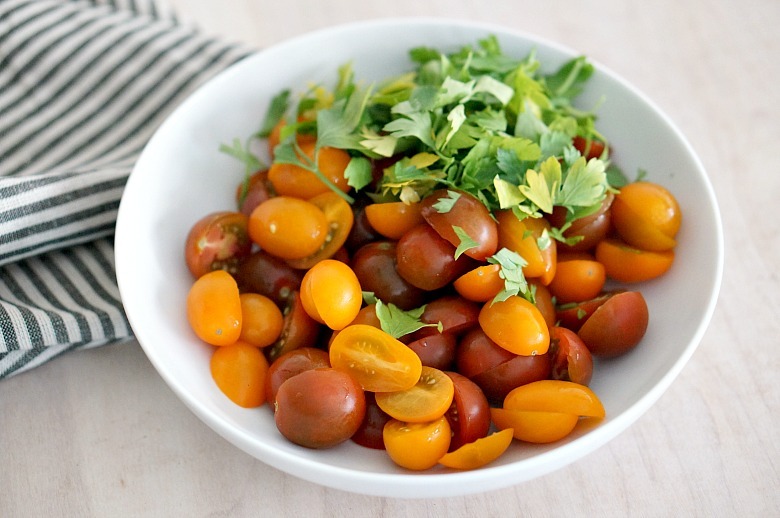 I think it’s even better when paired with fresh produce, especially these bright and sweet cherry tomatoes! 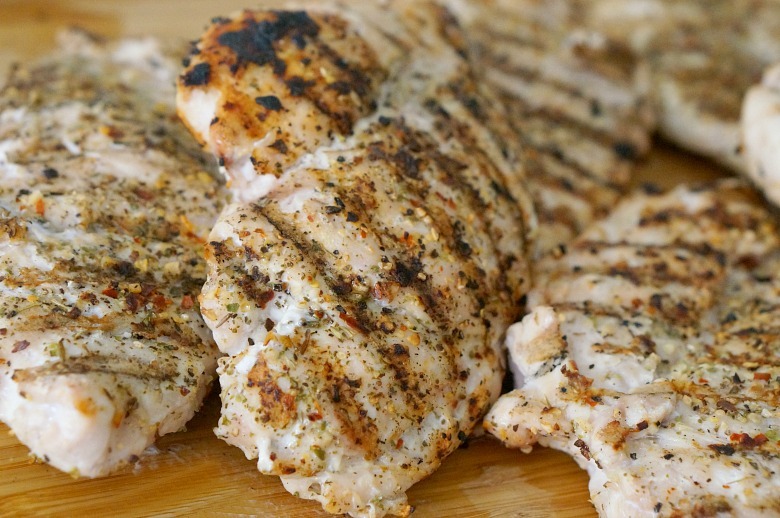 With fresh tomatoes and parsley, seasoned grilled chicken (which I’m able to source from local farmers… yay!) 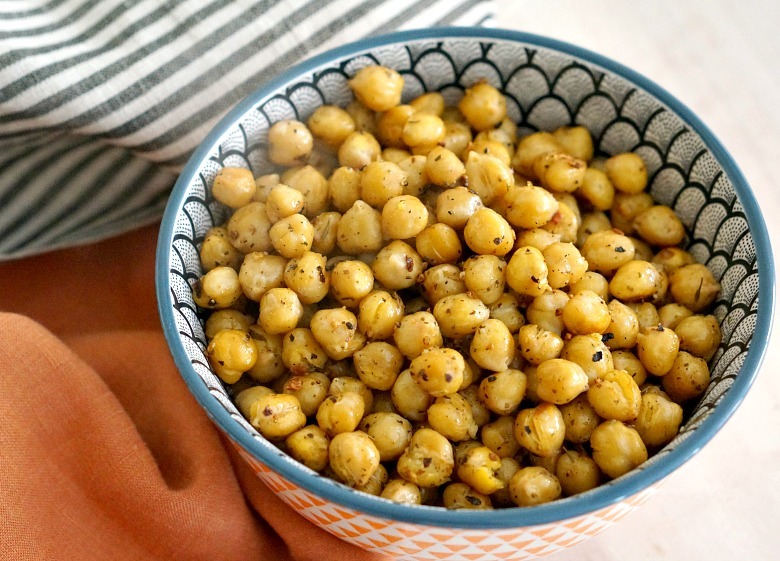 and crisp roasted chickpeas, this hearty salad makes the perfect weeknight dinner or weekend lunch. Toss it all together with this easy DIY red wine vinaigrette for a gluten-free meal. 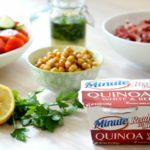 Healthy eating has never been so delicious! Preheat the oven to 425 degrees Fahrenheit and preheat the grill to high. Drain the chickpeas and pat dry. 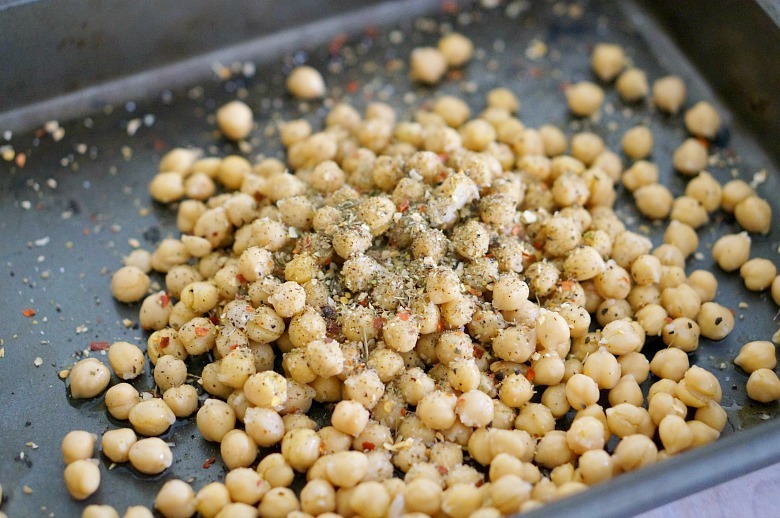 Add the chickpeas, heavy pinch of salt and pepper and 1 Tb. Greek seasoning and toss to coat. Cook in the oven for 20-25 minutes shaking the pan occasionally until crisp and golden. Meanwhile, pound the chicken between two pieces of wax paper until 3/4″ thick. Season liberally with salt, pepper and Greek seasoning. 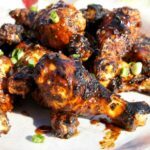 Coat the grill with grill spray, then grill the chicken over medium high heat until charred on the outside and cooked through. 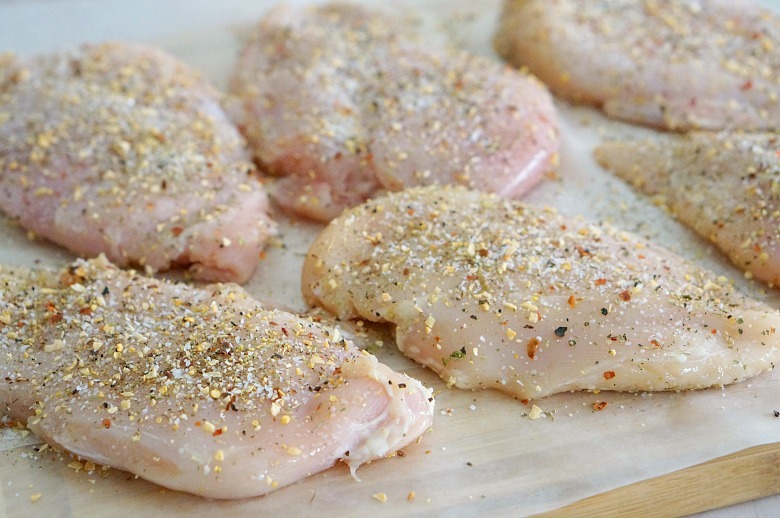 Remove chicken to a cutting board and let rest 5-10 minutes prior to slicing. 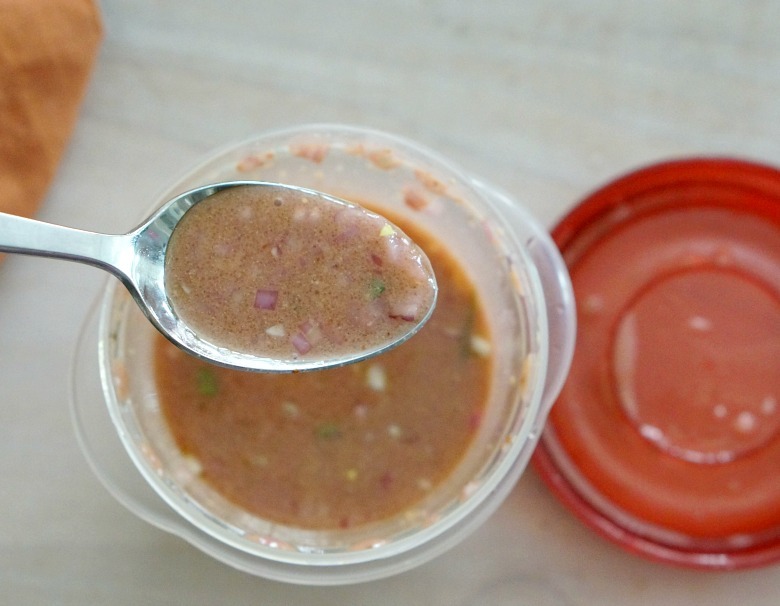 To prepare the vinaigrette, mix together olive oil, red wine vinegar, mustard, minced shallot and a pinch of salt. Whisk until smooth. To serve, layer the halved tomatoes, chopped parsley, roasted chickpeas, and chicken, then drizzle with the vinaigrette. 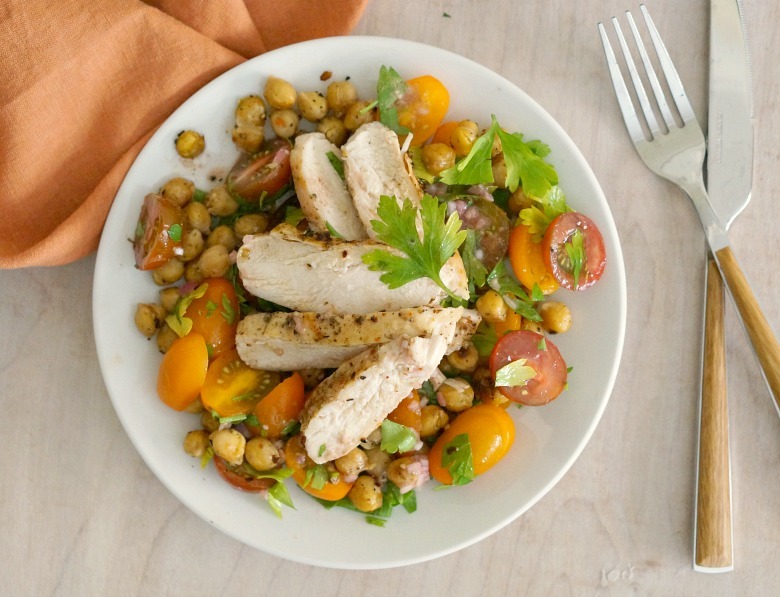 Sweet tomatoes, fresh parsley, roasted garbanzo beans and Greek-spiced grilled chicken, yes please! 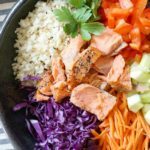 Tons of flavor and healthy ingredients make this salad a hearty meal perfect for weeknight dinners or weekend lunches. Meanwhile, pound the chicken between two pieces of wax paper until 3/4" thick. Season liberally with salt, pepper and Greek seasoning. Coat the grill with grill spray, then grill the chicken over medium high heat until charred on the outside and cooked through. To serve, layer the halved tomatoes, chopped parsley, roasted chickpeas, and chicken, then drizzle with the vinaigrette. Enjoy! 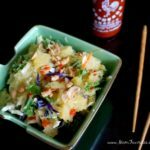 Looking for more main-dish salad ideas? Try our Orzo Salad with Pan Fried Hearts of Palm (it’s perfect hot OR cold!) and this Charred Corn Salad with Honey Lime Shrimp.